The paper shows light margin tanning and the edges are smooth and clear. 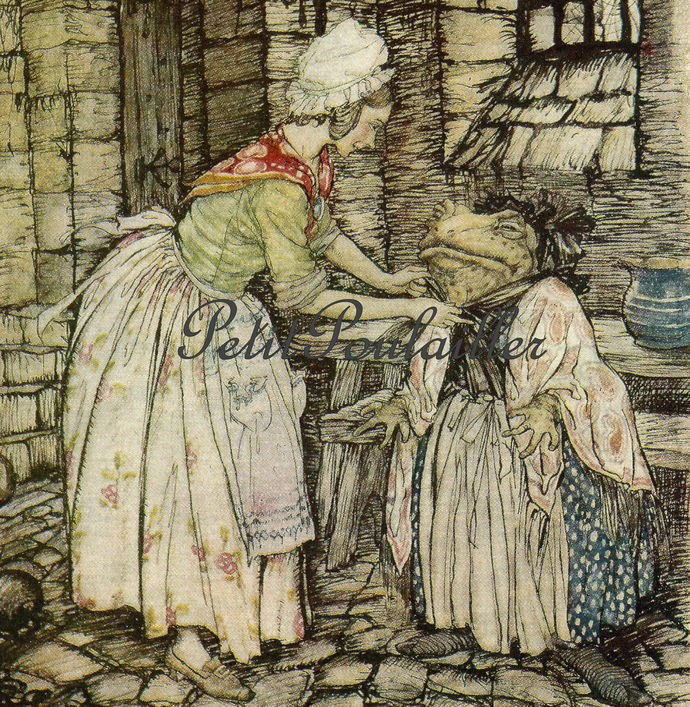 The paper is clean and bright, Arthur Rackham's illustration is wonderful and enormously frame-worthy. The heavy paper is blank on its reverse and there are no tears, folds, creases, or marks. Measures 6.125" x 8.25" (15.6x21 cm) and shows only gentle all-over tanning. Perfect for your card and tag creations, scrap book page making, collage. 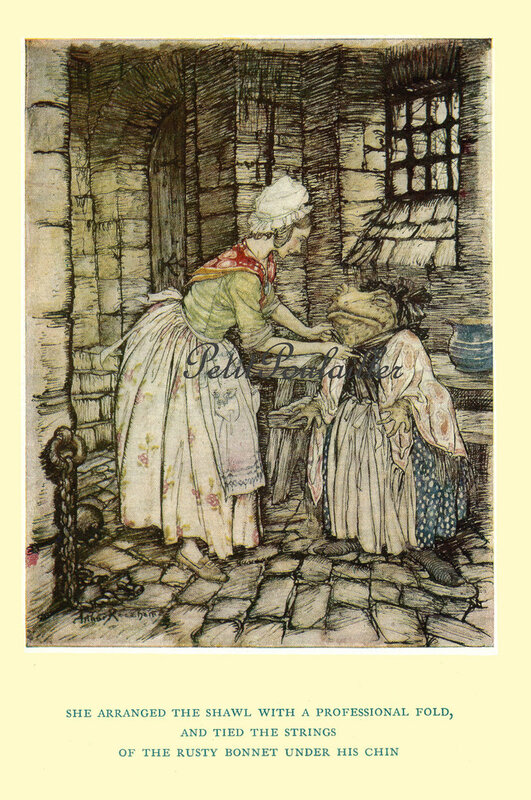 A wonderful image to frame and gift for the new baby's room or your young reader's corner.